The safe and secure way to book your driving theory test in UK. The driving theory test for cars and motorcycles. From here you may book your Northern Ireland driving theory test. 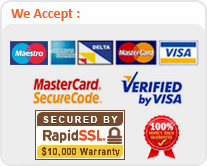 A valid credit or debit card is required. There are over 80 UK DSA theory test centres available to take your theory test. You are likely to find a theory test centre in your area. This section provides information to all UK theory test centres along with address and location maps to help you find the centre. Simply use the A - Z menu below to select the town or city where you would like to take your theory test. *To Qualify For a Free Resit You Need To Achieve Over 39/50 In Your Exam. Read More. For our customers To be eligible for our theory test pass protection scheme you require to have booked your theory test using the Site and provide us with a physical copy of the original failure sheet showing that you scored not less than 40 out of 50 multiple choice questions in the actual exam. This pass protection also applies to you not passing the test due to hazard perception failure. All you need to do is satisfy our terms and conditions and provide us with an original proof of your failure. Providing you do so we will rebook your test at our cost. Since 2009, we have made it quick and easy for individuals who are learning to drive and need to take their theory test, and we have helped thousands of people pass their theory tests by providing them with study materials and the chance to take retests when necessary.